Sid Jacobs Jazz Guitar Improvisation. 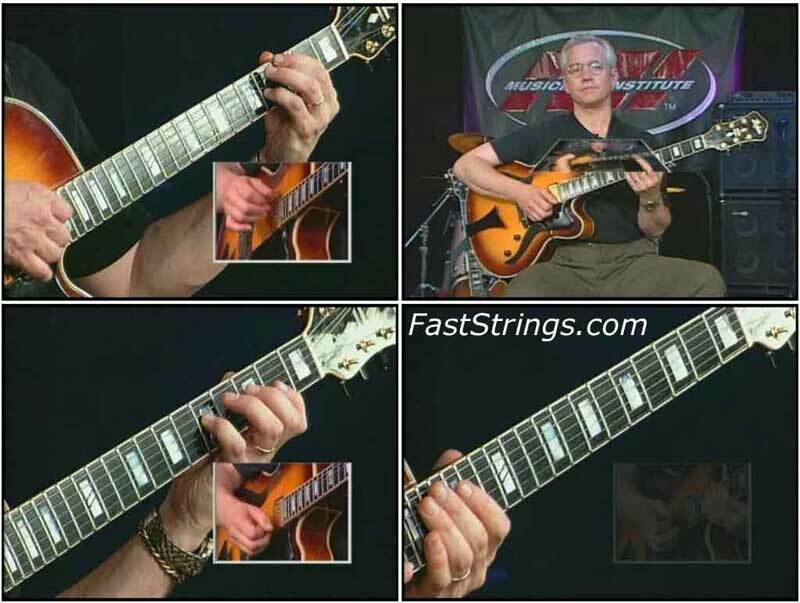 Guitar ace Sid Jacobs provides a step-by-step tutorial to help you develop the knowledge and skills you need to improvise Jazz guitar, in this DVD from the prestigious Musicians Institute. Jacobs carefully guides you through several different aspects of Jazz soloing, giving you the chance to understand and master the harmonic demands of this complex playing style. Some of the great jazz artists with whom Sid has performed include Harold Land, Eddie Harris, Buddy Montgomery, Joe Diorio, Brad Mehldau, Larry Goldings and Javon Jackson. The instruction is quite advanced but if your playing is at Sid’s level,you can get a lot of good ideas from this DVD. Sid will open your ears for the more modern style of jazz guitar. *Included booklet with embeded backing tracks. Recommended software Adobe Reader. It works for me, have you downloaded all parts before extraction? Pdf file is corrupted, could i have it separately ? Beautiful, man.I was looking for it.